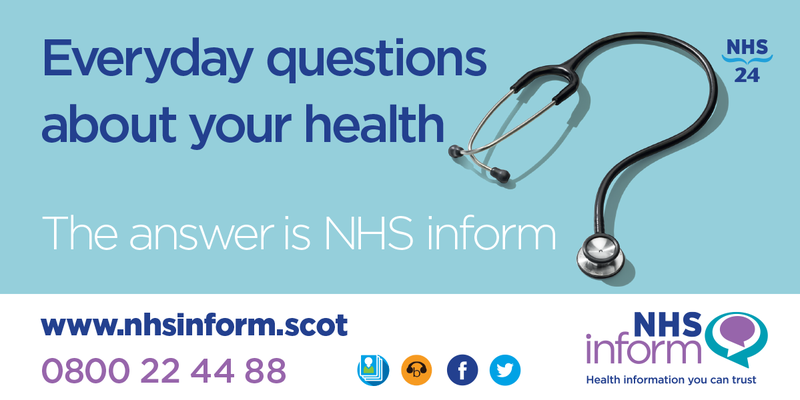 NHS inform is Scotland's national health information service. 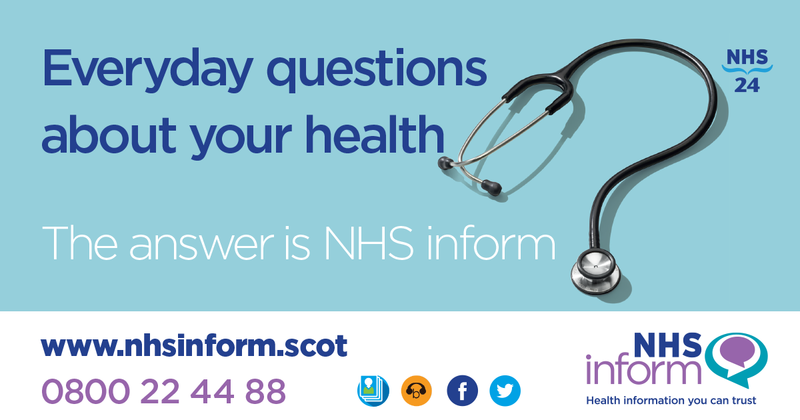 You can do your bit to raise awareness of NHS inform. We've developed a range of tools for use across internal and external channels, including websites and social media. These are outlined in the NHS inform toolkit - PDF (660 KB). 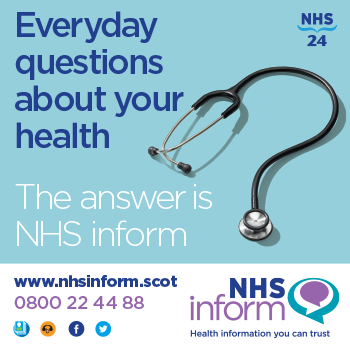 You can request images in alternative formats and sizes by emailing: HISPartnership&EngagementTeam@nhs24.scot.nhs.uk.